Mayhem were present at black metal’s inception in late 80s Norway and their 1994 album De Mysteriis Dom Sathanas is rightly heralded as a landmark recording for not just black metal, but for the entire metal genre. With that in mind, the band have now, more than 20 years after it’s release, decided to take the album on tour for what is surely to be one of the highlights in live music in 2017. 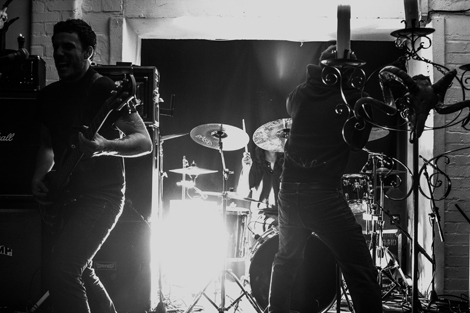 Not only that, but Mayhem have chosen Liverpool metal band, and former GIT Award nominees, Dragged Into Sunlight as their main support for the UK and European dates of their mammoth tour. Dragged Into Sunlight, who are hard at work on a successor to their 2012 release Widowmaker, have been featured on Getintothis countless times since their formation. This tour is a testament to the band, the members of which are known only by their first initials, who have been putting out their own personal brand of extreme noise for 10 years. What better way to celebrate with them than by catching them supporting Mayhem for a spectacular night that will chill you to your core, and likely blow your face off? There is none better. You can catch these heavy noisemakers on stage with Mayhem in 2017 on the following dates in the UK and Europe. Do not miss this.